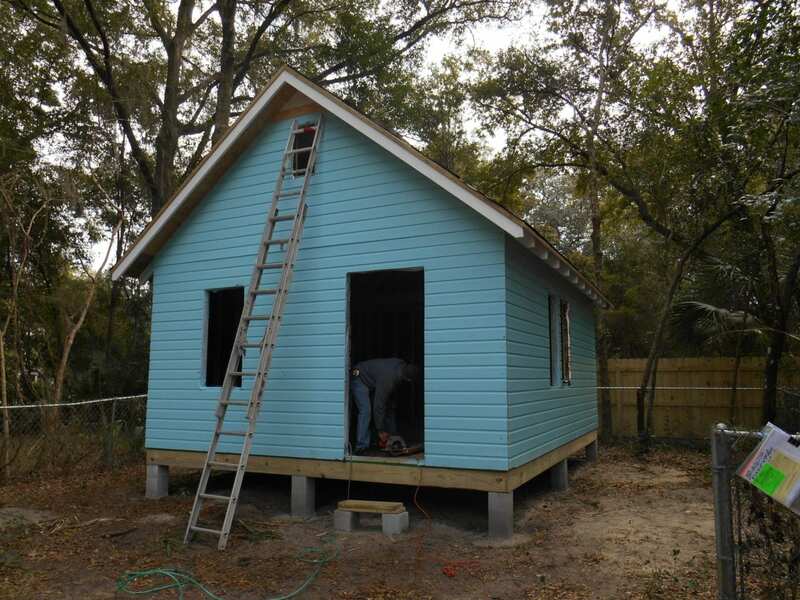 Historic Shed will host a one day workshop on Saturday, March 21 starting at 10 am at 1212 Ponce de Leon Boulevard, Brooksville, FL 34601 to discuss designing and building both site-built Small Homes/ Cottages and Tiny Homes on Wheels (THOW). REGISTRATION NOW CLOSED. See you Saturday! The morning portion of the Workshop will focus on Zoning and Building Codes for Site Built Small Homes in Florida. This session will be presented by Historic Shed president and licensed Florida Building Contractor, Jo-Anne Peck. We hope to take some of the mystery out of the design/ build process for both the DIYer and those considering hiring a contractor to build their little dream home. Downsizing your Life (including Children) to fit in a Tiny House with Pat Dunham. Pat Dunham, tiny spaces coach and speaker, will outline ways you can live comfortably in your own small space. Her ideas work for space-challenged living environments from tiny homes to efficiency apartments to RV’s and boats. Long before the tiny house movement began, Pat lived that life aboard a boat with her husband and six children. She will speak on the many benefits of living small while offering practical advice for downsizing and useful tips for creating storage solutions. Container Homes Jarrid Dotterer, co-founder of the Container Division of Chocolate Peach Construction, a company that focuses on sustainable building, will speak on container homes. He will cover the acquisition of the container to the construction process and the potential that a container has. Jarrid will share the challenges unique to containers, including the type of steel, as well as the special skills and tools needed to turn them into your own tiny home. His background in the construction field and his passion for repurposing materials qualifies him to share his knowledge with individuals wishing to explore their options. Building Your Tiny House on Wheels with Andrew Bennett of Trekker Trailers . 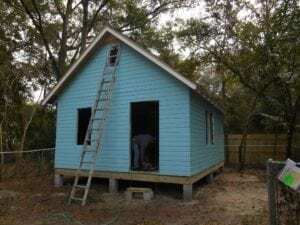 Shorty Robbins on Tiny House Building with SIPS/ Finding a Place to Live in Your THOW. Ms. Robbins has also graciously offered to bring her THOW to the Workshop to tour! More info to follow on these portions of the Workshop. Some other topics may also be added. 10:15- 10:45 Zoning Codes Historic Shed owner and Florida Building Contractor, Jo-Anne Peck, will discuss what Zoning Codes are, how to research them, and what to do when they aren't conducive to your plans. 10:45 - 12:00 Building Codes Historic Shed owner and licensed Building Contractor, Jo-Anne Peck will discuss residential Building Codes and how they apply to small home construction. 12:45 - 1:30 Downsizing Your Life to fit a Tiny House Pat Dunham, tiny spaces coach and speaker, will outline ways you can live comfortably in your own small space. Her ideas work for space-challenged living environments from tiny homes to efficiency apartments to RV’s and boats. 1:30-2:15 Tiny Homes on Wheels Trekker Trailer owner and Tiny House Builder Andrew Bennett will discuss planning and building a Tiny House on Wheels. 2:15 - 3:00 Building with SIPS/ Parking your Home Tiny House Builder, Shorty Robbins will talk about using SIPS for your Tiny House as well as how to find a place to park your home in Florida. 3:00 - 3:45 Container Homes Jarrid Dotterer, co-founder of the Container Division of Chocolate Peach Construction, a company that focuses on sustainable building, will speak on container homes. He will cover the acquisition of the container to the construction process and the potential that a container has. Registration for the Workshop is required so we can plan appropriately. Lunch will be provided. The Workshop will be held in a well ventilated covered space, but that does not have air conditioning. A small house will hopefully still be under construction at the shop for touring. This is great! Love it! Thanks for this workshop. Ah man, looks like I’m much too late for the meeting, will you be doing any other workshops on small homes in the future? I saw the documentary Tiny about people who live in homes less than 100 ish square feet. I am curious to learn more about it. I think it is important to use less space as our population grows, and conserve resources, and I have already lived in some apartments that were the same size as some of these homes. The one thing is I might want to have a detached garage as well for my car, I don’t like it being parked in the open. Would like to join the next small house seminar. Just signed up twice, but one reservation is for my husband, Don Thompson. Looking forward to it very much! Wonderful! Look forward to meeting you both. What about prices for kids? Ours are 3 and 5. The Workshop will take place in a working carpentry shop. It is not a suitable place for young children. Does the $25 workshop fee cover one person? We are attending as a couple. Yes, it is $25 per person. Sounds like a great event to attend! Hope to see you there!